is saying goodbye to Ken who is leaving for the Army. This is the front of the 1963 Dream House. 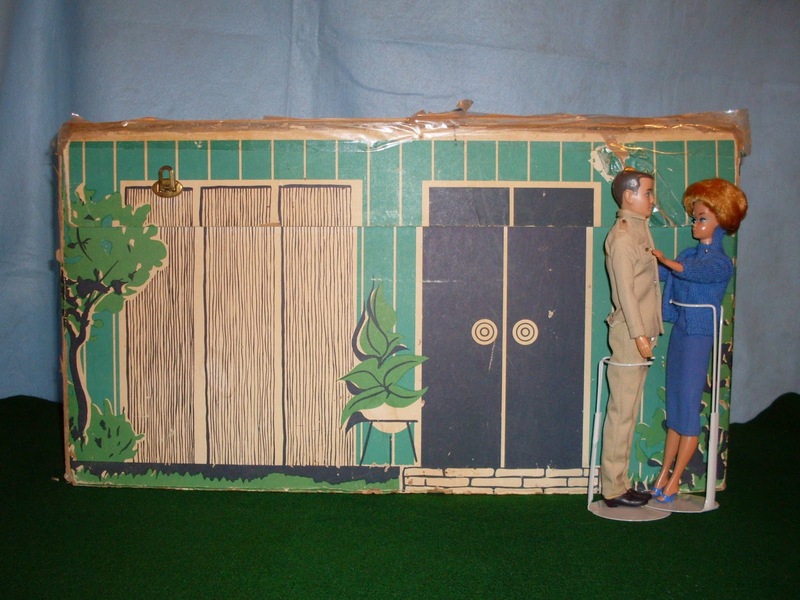 Ken leans in to kiss Barbie before he reports for duty. This is the side of the Dream House. the houses or playsets (if applicable). Please note that when I saw "metal" or "wood" or "glass," that everything is just vinyl or plastic made to look these other materials. The exterior has aqua wood paneling, black doors and plate glass windows with beige curtains. My house is in poor condition but the furniture is actually in good shape! 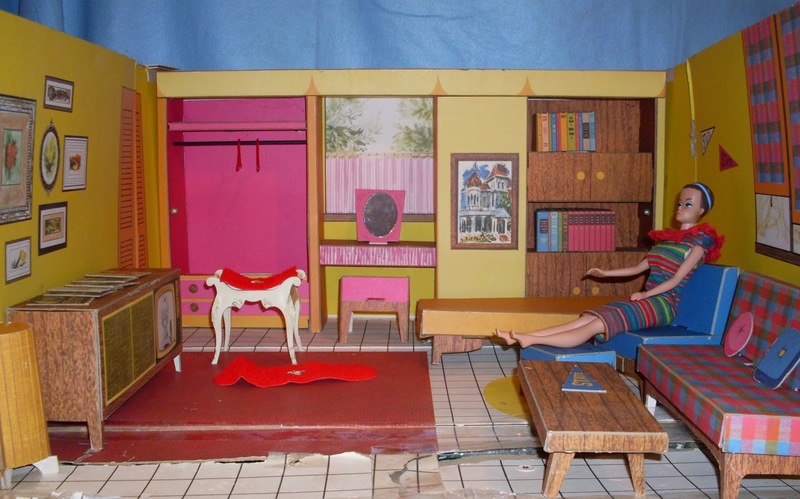 Also shown are the seat and rug for 1963 #1465 Suzy Goose Barbie Vanity. I've discovered that the Suzy Goose chairs are better suited for bend leg dolls, as they sit too high for the straight leg. My dolls are 1963 Fashion Queen Barbie (wearing #957 Knitting Pretty and a Pak Knit Dress) and a 1963 brunette Straight Leg Ken (in #797 Army). Barbie is secretly relieved that Ken is gone. take off her wig and go barefoot!